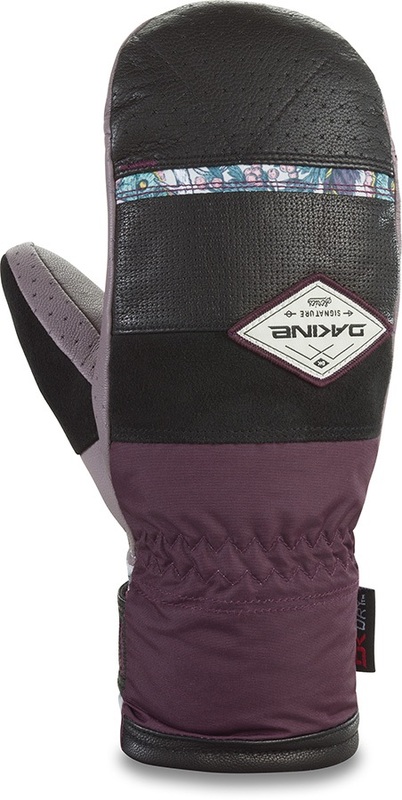 Dakine's Team Fleetwood Mitt, designed in collaboration with Leanne Pelosi, is a great all-round mitten designed to be used in warmer parts of the season. Dakine have used their own trademark DK Dry inserts to provide maximum waterproofing and comfort. DK Dry works by utilising unique polyurethane film technology to keep the water out, and your hands warm and dry all day long. By keeping their tech in-house Dakine have capitalised on comfort without sacrificing value. The Team Fleetwood uses 60/170g high loft synthetic insulation. This non-bulky insulation provides extra dexterity and breathability in warmer conditions. Paired with a 300g fleece lining, the insulation works to keep your hands warm and comfortable for a hard day on the hill. Both the leather palm and poly shell have had DWR treatment, which adds an extra bit of protection against any moisture.